Postcard of Quaker Bridge. Click the image to enlarge it. 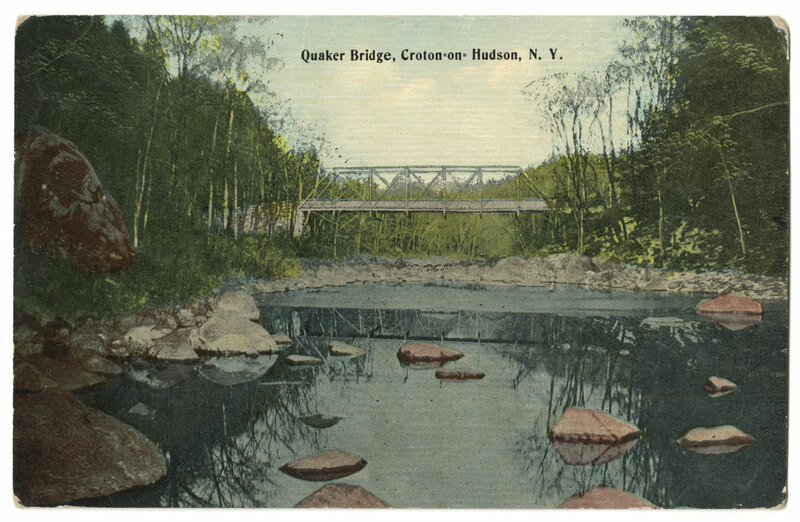 Postcard of Quaker Bridge, circa 1914, published by Frank L. Simone, who issued postcards of many scenes of the Croton area. This card is postmarked Oscawana, July 28, 1914. Frank Simone was my great uncle. Nice. Did he have a collection of photos for his postcards business? If so, do you know what happened to them?